The formation of the group, later to be known as The Men's Garden Club of Santa, was announced June 16, 1940, when a number of civic leaders, who were amateur gardeners, met for lunch at the Harbor Coffee Shop. A nurseryman, Bert Kallman, who had managed the 1940 Primavera Flower Show, had enlisted the charter members. A.H. Groenink, Santa Barbara Boy Scout executive, had been an active member of the Oakland Men's Garden Club, and aided in the organization here. It was an informal group, with no constitution, rules or dues at that time. It was decided that the club would take an active part in the development of flower gardens, floral displays and parades, and public park flower plantings. The club intended to draw on many noted gardeners in Santa Barbara and vicinity, and to invite authorities in floral culture, and other related horticultural topic, to address their meetings. During the Men's Garden Club existence, its members have sponsored many projects for the betterment of the city and county, as well as learning a great deal regarding their own gardens and orchards. One of the longest continuing projects was a Memorial Rose Garden on the premises of the California National Guard Armory. It was started as a memorial to service men at the end of World War II. The Men's Garden Club assumed management of the garden in the late 1940's. It was open week days for public visits, but even when closed passersby could see the attractive blooms through the cyclone fence on Canon Perido Street. Army equipment is now stored on the former garden plot. The club inaugurated annual garden tours in the early 1970's as a fund raising project. Money raised from these tours was to be used for civic beautification. 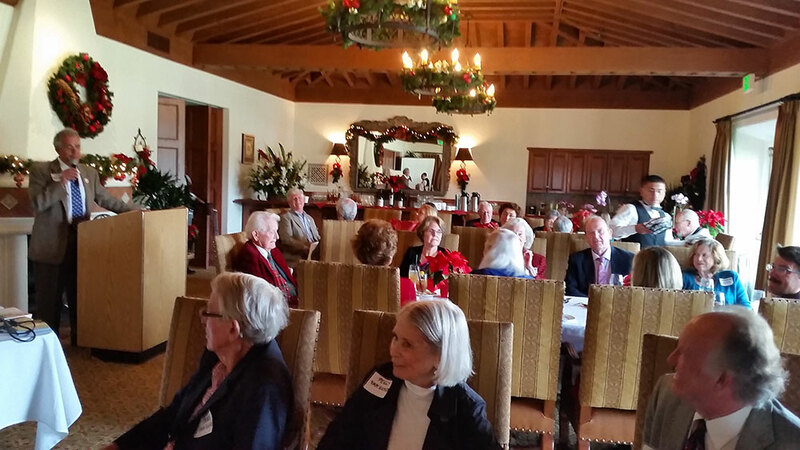 The tours were held in July and alternated each year between three estates in Hope Ranch and Montecito. Members acted as guides to give information to participants. Tickets were $3.50 per person and each member was expected to sell ten tickets. Bussing was used to carry the public to the Montecito estates due to the narrow roads and limited parking. The last tour year was 1979. They were discontinued due to problems with the bussing and the difficulty in obtaining estates for tours. In 1980 the first annual plant sale was held as a fund raising project and to replace the estate tours. This has continued every year since, in May, and was held at Mackenzie Park. The exception was in 1990 during the height of the drought. Due to the increasing expense required at MacKenzie Park, the sale site was moved in 1999 to the Elk's Parking lot. One other activity of the club, which is worthy of mention, occurred in its earlier days during the 1950's and 60's. The July Flower and Horse Show was a big annual event in Santa Barbara then, held at the Earl Warren Show Grounds. The club put in a display garden at the show site, with members contributing their labor and talents. Prizes were awarded for the different categories and the club was consistent in winning awards and cash prizes. It was in 1980 that the club published a booklet entitled, The Santa Barbara Gardener's Guide. 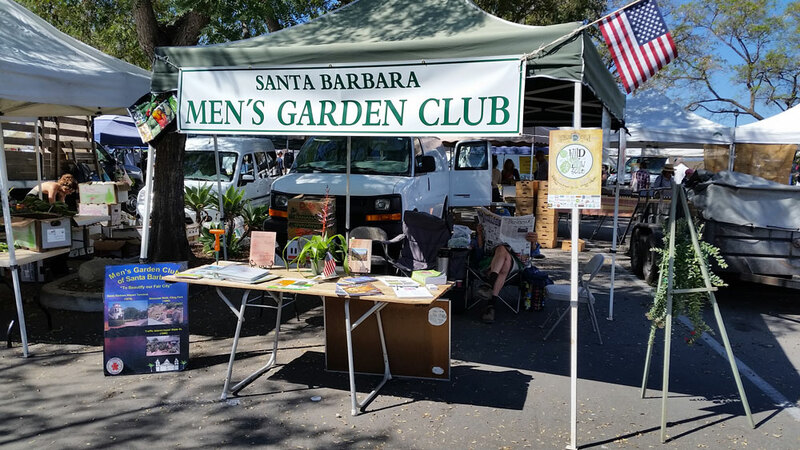 Articles were written by club members dealing with plants commonly used in Santa Barbara, and also subjects dealing with other aspects of gardening. It was written as a fund raising project and as a community service. In 1990, in commemoration of our 50th anniversary, this booklet was expanded and updated and is still available. It has been well received by the public. Since the early 1970's the club's major activity has been the funding of landscape beautification projects throughout the city and county of Santa Barbara. These projects have been the direct result of the club's fund raising efforts, first through estate tours and then through annual plant sales. A list of some of the more notable and successful projects completed over the years follows. The earliest project, and the forerunner of some very good landscape planting, was the re-landscaping of the main entrance to Manning Park in Montecito. This was done in 1977 and still remains in excellent condition today. The main feature was the planting of four Albizia or silk trees. They are now trees of a large size and never fail to put on a beautiful display of flowers every July. Prior to this a number of palm trees were donated to the city for street tree planting and a new planting was completed at the entrance to the Botanic Garden in conjunction with a new sign. When the Santa Barbara airport was remodeled in 1978, our club received an award from Santa Barbara Beautiful for its landscaping of the entrance. I was the club's vice president at that time and did the design and worked with the airport's head gardener in planting of the necessary plants. Over the years the planting has been very well maintained and has been one of our top projects. Look for the club's bronze plaque at the entrance the next time you are out there. In the early 1990's landscaping of the Rescue Mission was funded by our club. That has been very well maintained and one of which we can be very proud. It was in 1995 that we gave another donation to the Botanic Garden to help them complete the re-planting of the Redwood Grove. One of our club's outstanding projects was completed in 1996 and was the result of the efforts of member Tom Long. This is the Cactus garden in the island at State and Verde Vista Drive. This planting has added greatly to the beauty of the neighborhood and has done very well. A bronze plaque gives credit to our club. In 1998 a donation of $1000 was made to the Los Positas Park Association for planting along the Veterans Walk. This was dedicated on Memorial Day of that year. The rehabilitation Center on De La Vina Street was planted in 2000 with funding from our club and in 2001 money was provided for a new planting at the McKenzie Lawn Bowling center. In addition to all of the beautification projects mentioned, the club started a perpetual scholarship at City College, with annual grants to be given to worthy horticultural students. The initial funding was $5000 in 1990 and since then an additional $5000 has been given in increments over the years. At the present time the fund now stands at around $13000. Each year since the beginning money from the interest has been awarded to two or three students. Finally, we completed work, in 2000, on the establishment of a Memorial Grove for deceased members. This is at Mesa Park and it was done through the cooperation of the City Parks Department. Member Don Terrell did the planning and is responsible for the success of this memorial grove of trees. Members names are on plaques at individual trees and a bronze plaque recognizes the club at the entrance.